US drug giant Pfizer said Friday it will appeal against an Indian ruling overturning a patent for a cancer drug, saying the decision raises questions about intellectual property protection in India. Indian generics heavyweight Cipla opposed the granting of the domestic patent for Prizer’s Sutent, which is used to combat liver and kidney cancer. The patent office’s decision went to the heart of India’s patent act, which says a patent cannot be granted for a drug unless changes make it significantly more effective and innovative. 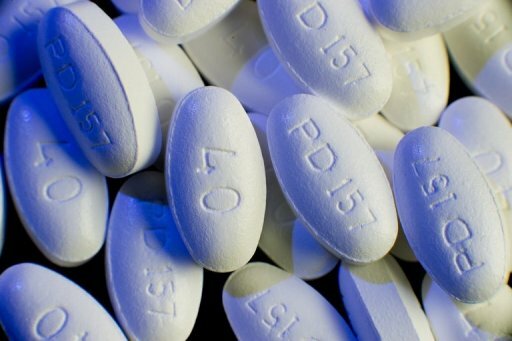 “The patentee (Pfizer) has miserably failed to demonstrate any improved activity” warranting a patent, the patent office said in its decision. “The invention that is claimed in the patent does not involve any inventive step… and hence (is) not patentable,” Nilanjana Mukherjee, senior patent officer, said. A spokesman for Cipla, which revolutionized AIDS treatment by supplying cut-price drugs to the world’s poor and which has been campaigning to be able offer other low-cost generic medicines, had no immediate comment. But Pfizer managing director Jazz Tobaccowalla said the company believes the ruling “undermines intellectual property rights in India”. “We will vigorously defend our basic Sutent patent,” the Pfizer executive said in a statement, adding the company would appeal against the ruling to India’s Intellectual Property Appellate Board. The patent decision marked another win by Cipla against a global pharmaceutical company. In September, a court threw out a patent infringement case launched against Cipla by Swiss drug maker F. Hoffmann-La Roche over the Mumbai firm’s version of a lung-cancer drug, ruling it had a different molecular makeup. The cases have been watched worldwide as they involve interpretation of stricter drug patent protection rules introduced by India in 2005 to comply with World Trade Organization regulations. India has some of the toughest criteria for drug companies to obtain patents, said D.G. Shah, secretary general of the Indian Pharmaceutical Alliance, an industry body. “These rulings show (foreign) companies need to take into account that India will not permit tweaking of formulations for getting a patent. If they had those expectations, they were unrealistic,” Shah told AFP. Medical charities have expressed concern compliance with WTO rules could reduce the country’s role as a supplier of low-cost medicines. India is the world’s leading exporter and manufacturer of non-branded medicines. But Western firms — looking to countries such as India for sales growth — have voiced criticism of brand protection in India. Earlier this year, an Indian ruling allowed a local firm to produce a vastly cheaper copy of German pharmaceutical giant Bayer’s patented drug Nexavar for liver and kidney cancer. India’s patents chief ruled the price Bayer charged was “exorbitant” and told the firm to give a “compulsory license” — permitted under WTO rules for public health reasons — to Indian firm Natco Pharma to make a less costly version. Experts say that ruling could pave the way for a rush of other “compulsory license” applications in India and other poor nations, allowing access to patented life-saving drugs at a fraction of the cost.